More than ever, customers want to be connected anytime, anywhere to share experiences, photos and videos with their friends and family, listen to music and watch movies and series on their mobile. To this end, customers want to be able to use data without having to worry about their consumption. 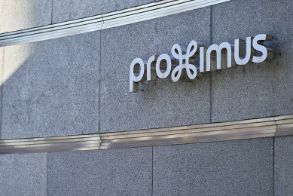 Proximus has therefore decided to enhance its Mobilus offer. As from 1 November, Mobilus customers can choose from an even wider range, from Mobilus S to Mobilus XL Unlimited. Customers who already enjoy the most comprehensive mobile experience (Mobilus L) will be upgraded automatically and for the same price to Mobilus XL Unlimited on 1 November, with unlimited data at their disposal (subject to a reasonable use policy) instead of the 10 GB they have benefited from up until now. To continue to offer its customers the widest choice possible, Proximus will maintain a Mobilus L rate plan as well, with unlimited call minutes and texts, 10 GB of mobile data as well as unlimited data for an app of the user's choice for 36.99 euro per month. For the Mobilus M subscriptions, the number of call minutes, which up until now were limited to 300 minutes, will be completely unlimited, along with an unlimited number of texts, 5 GB of mobile data and unlimited data for an app of the user's choice. This change will be introduced automatically without any tariff modification for the customer. The Mobilus S rate plan will remain unchanged, thereby complementing the enhanced mobile offering. Mobilus S, M or L customers whose mobile bundle is part of a Tuttimus pack can still count on twice the data volumes mentioned above. Self-employed customers and small enterprises with a Bizz Mobile rate plan will also benefit from these changes, depending on the formula chosen. From now on, Bizz Mobile XL Unlimited offers unlimited data, call minutes and text messages, while Bizz Mobile M will allow unlimited calls instead of the current 250 minutes. An opportunity to share even more unique moments with friends, colleagues or customers. Full details and the terms and conditions will soon be available on www.proximus.be/mobilus. As from January 1st, 2019, Proximus will slightly adjust the pricing of its Packs. Proximus invests massively in the roll-out of optical fiber to build the network of the future and to offer its customers the best experience. To this end, Proximus will adjust the pricing of its Packs by about 2 euro on January 1st, 2019. It is important to remind that there has not been a single change to the rates for the fixed products in the Tuttimus and Familus Packs since their launch in October 2016. Full details and the terms and conditions are available on www.proximus.be and www.proximus.be/tariffs.